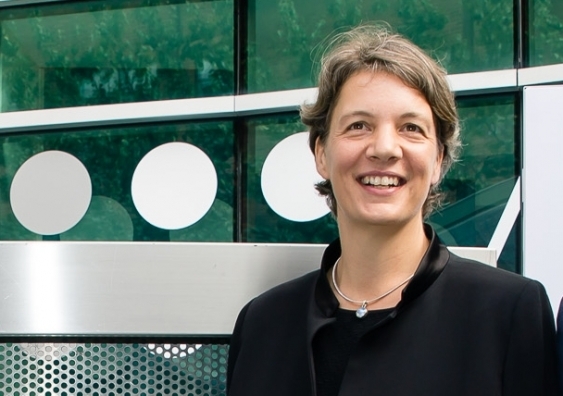 For her world-leading research in the fabrication of atomic-scale devices for quantum computing, Scientia Professor Michelle Simmons has been awarded a prestigious Foresight Institute Feynman Prize in Nanotechnology. Two international Feynman prizes, named in honour of the late Nobel Prize-winning American physicist Richard Feynman, are awarded each year in the categories of theory and experiment to researchers whose work has most advanced Feynman’s nanotechnology goal of molecular manufacturing. Professor Simmons, director of the UNSW-based Australian Research Council Centre of Excellence for Quantum Computation and Communication Technology (CQC2T), won the experimental prize from the Foresight Institute for her work in “the new field of atomic-electronics, which she created”. By creating electronic devices atom by atom, we are gaining a very fundamental understanding of how the world behaves at the atomic scale, and it’s phenomenally exciting. Her group is the only one in the world that can make atomically precise devices in silicon. They have produced the world’s first single-atom transistor as well as the narrowest conducting wires ever made in silicon, just four atoms of phosphorus wide and one atom high. Professor Simmons said: “I am delighted to win this award. Feynman once said: ‘What I cannot create, I do not understand’. “By creating electronic devices atom by atom, we are gaining a very fundamental understanding of how the world behaves at the atomic scale, and it’s phenomenally exciting,” she said. As director of CQC2T, Professor Simmons heads a team of more than 180 researchers across six Australian universities, including UNSW. She has previously been awarded two Australian Research Council Federation Fellowships and currently holds a Laureate Fellowship. She has won both the Australian Academy of Science’s Pawsey Medal (2005) and Thomas Ranken Lyle Medal (2015) for outstanding research in physics. She was named NSW Scientist of the Year in 2012, and in 2015 she was awarded the Eureka Prize for Leadership in Science. In 2014, she had the rare distinction for an Australian researcher of becoming an elected member of the American Academy of Arts and Sciences. She is also editor-in-chief of the first Nature Partner Journal based in Australia, npj Quantum Information. In April, Prime Minister Malcolm Turnbull opened new quantum computing laboratories at UNSW and praised Professor Simmons’ contribution to the nation as both a scientist and director of the CQC2T team. The Forsight Institute is a leading think tank and public interest organisation focused on transformative future technologies. Founded in 1986, its mission is to discover and promote the upsides, and help avoid the drawbacks, of nanotechnology, artificial intelligence, biotechnology and similar life-changing developments. Both Feynman Prizes, which were announced overnight in the US, are for 2015. The theory prize was awarded to Professor Marcus Buehler of the Massachusetts Institute of Technology for developing new modelling, design and manufacturing approaches for advance materials with a wide range of controllable properties from the nanoscale to the macroscale. Researchers from The University of Western Australia and the University of Bristol have made an exciting breakthrough in advancing a new wave of ‘supercomputers’ by testing an early prototype of a quantum computer. Quantum computers, still in their early stages of development, promise unprecedented computing power, with the ability to complete numerous tasks simultaneously, crack complex codes and solve difficult mathematical problems. They are expected to enable advancements in research and technology, help solve global problems, and make our lives more efficient. Quantum computers work by using single photons, electrons and atoms, unlike traditional computers that use transistors implanted into a silicon chip. Information on traditional computers is stored in two states (0s or 1s), but on a quantum computer both states are used simultaneously, enabling much larger capabilities. PhD student Thomas Loke, from UWA’s School of Physics, said the researchers worked to simulate a ‘quantum walk’, which enables information in the quantum computer to be manipulated and travel in many ways at the same time. “The software I developed allowed the research team to test quantum walks and complete a complex algorithm on the computer, providing evidence that even an early prototype of the quantum computer can do more than a traditional computer,” Mr Loke said. Mr Loke said it was the first experimental implementation of his quantum codes, and several more would follow. “Building a large-scale quantum computer is one of the biggest global engineering challenges and this research has brought us one step closer in this significant advancement for global technology,” he said.